Extensive reading improves fluency and there is a real need in the ELT classroom for motivating, graded material that will instantly appeal to students. 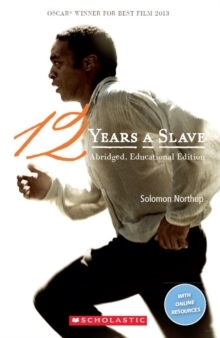 Twelve Years a Slave is the extraordinary true story of Solomon Northup, a free black man living in New York State who, in 1841, was kidnapped and sold into slavery. This simplified version condenses Northup's memoirs for students of English and is interspersed with stills from the 2013 Oscar award winning film.